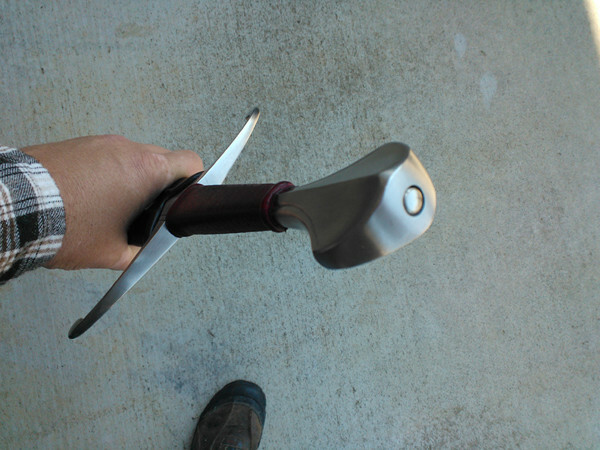 I mostly just lurk around here, but since it was during my lurking that I first learned about Crusader Monk (operated by fellow myArmoury member JE Sarge) I thought I'd post about my recent experience in having a custom grip made for my Valiant Armoury Bristol sword. From start to finish, dealing with Mr. Sarge was an excellent experience. He responded quickly to my initial inquiries, and gave me an accurate price estimate right away. Once I shipped the sword out, he gave me regular updates on his progress, including photos ( some of which I've included below). The work was finished very quickly, and my sword was returned to me right on schedule and at the exact agreed-upon price. 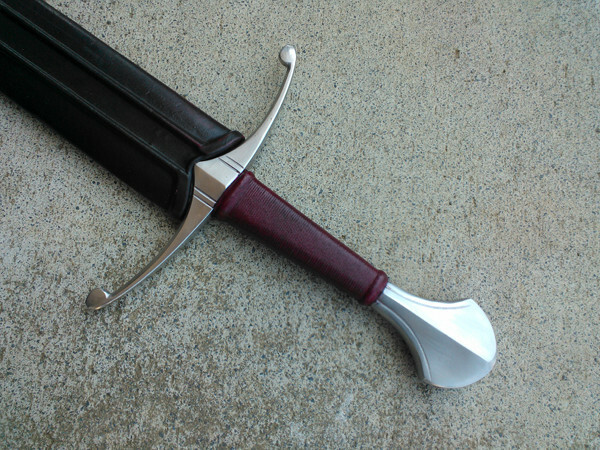 Overall, I'd call this the best experience I've had in getting custom work done for a sword. 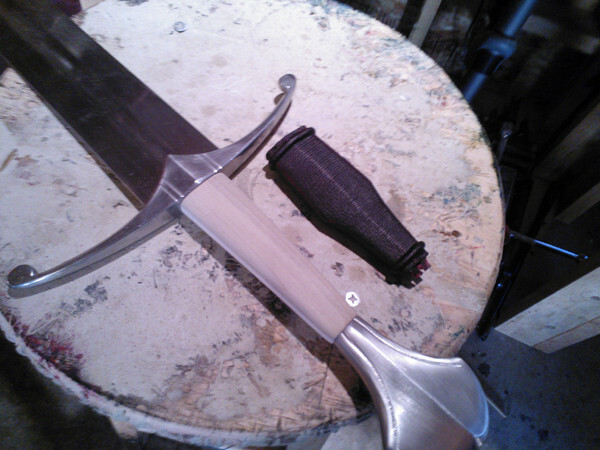 This was the first shot of the handle shape being roughed in, with the original provided for comparison. While the original grip was sturdily-made and visually interesting, I just didn't find it very comfortable in actual use, so I asked Mr. Sarge to replace it with something a bit more rounded. The completed grip! The leather color came out beautifully, the seam is almost perfectly flush, and the texturing is perfect. The new grip shape is perfect for my hand and fit the specifications I had asked for precisely. In addition to the new grip, he also covered the hex bolt hole with a false peen, and added a shim to tighten the scabbard, which had gotten a bit loose over time. All in all, I wouldn't hesitate to recommend Crusader Monk to anyone looking to get this kind of work done. The speed, communication, quality, and pricing were all exceptional. Jonathan has done quite a bit of work for me and I highly recommend him.